We've organized a special discount for io9 readers on this epic lightning cable. 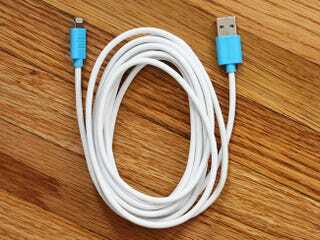 How can a lightning/usb cable be epic? When it's 10 feet long, that's how. Now, you can easily charge your phone from the backseat, or across the room for that matter. io9 readers can get one with free shipping for 52% off – just $18.99.